These are the dates that most of us see only in dried form?????! How are they? Yes. They are only usually available dried or candied outside of their growing area. 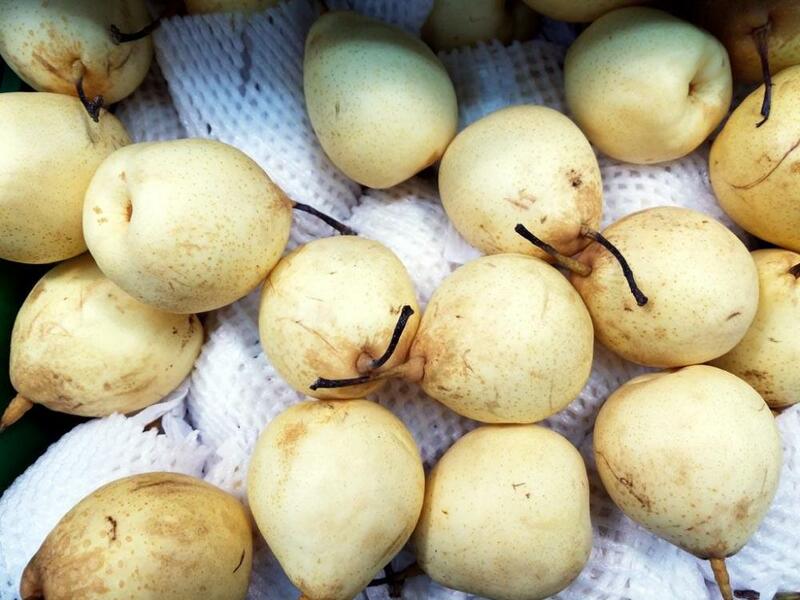 Here we get them fresh, dried, candied, preserved in rice wine etc. They are also made into wine. They're OK, but not my favourite I haven't had a fresh one for years. The dried ones often turn up in hot pots and soups, though. They\re OK, but not my favourite I haven't had a fresh one for years. The dried ones often turn up in hot pots and soups, though. Do you like the dried ones, which are the only ones I have had? To me, they are good, but sweet as candy. I would love to eat a fresh one, even if just once. I thought mine were just dried, and I didn't know about the candying. I think @Smithybought some preserved ones recently, and likes them a lot. Yes, they are very edible! The drying seems to concentrate the taste. This morning I saw these and bought both types. 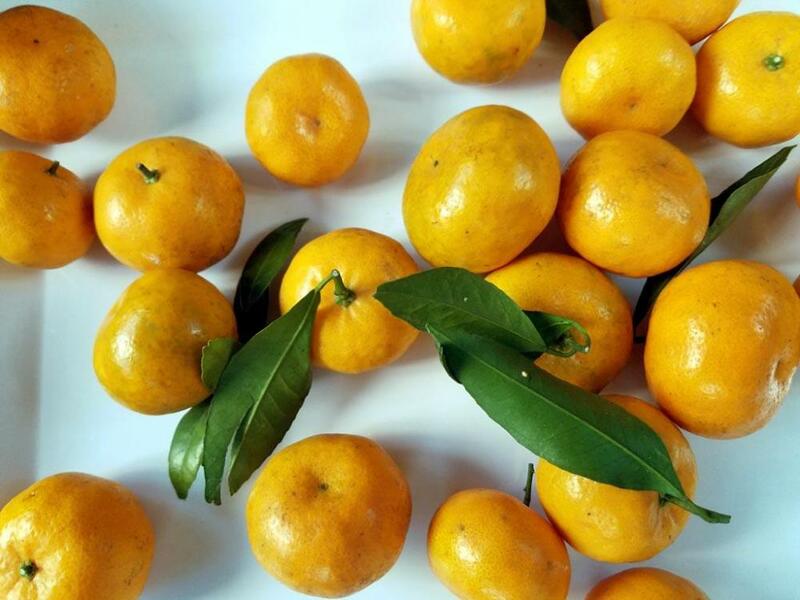 These elongated fruits are known as 香水柠檬 - xiāng shuǐ níng méng which means perfume or scented lemons. They do have a stronger scent than most lemons I'm familiar with. 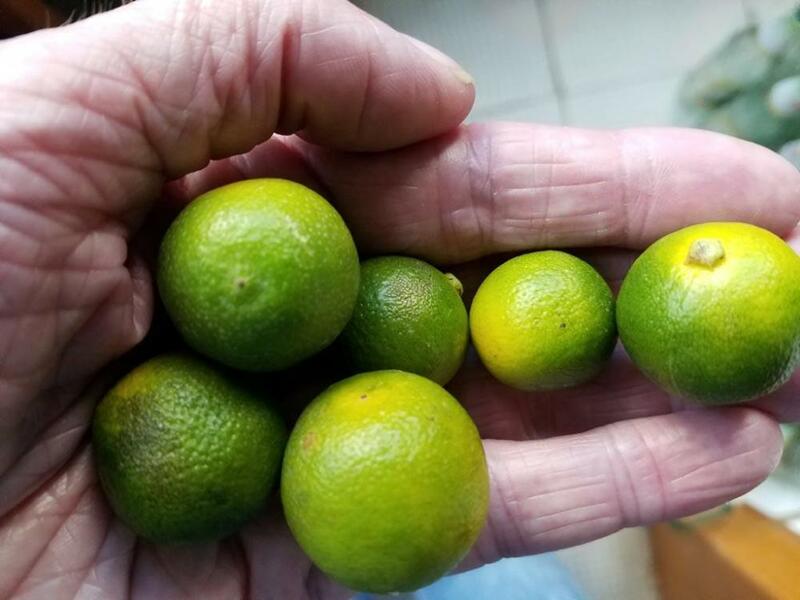 小青柠 - xiǎo qīng níng - small green lemons. 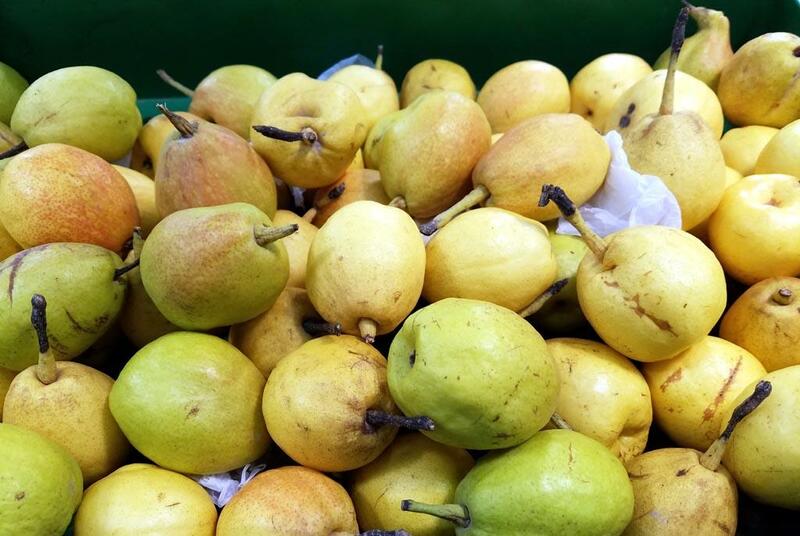 All of these samples are from Hainan Province in southern China - fruit central. 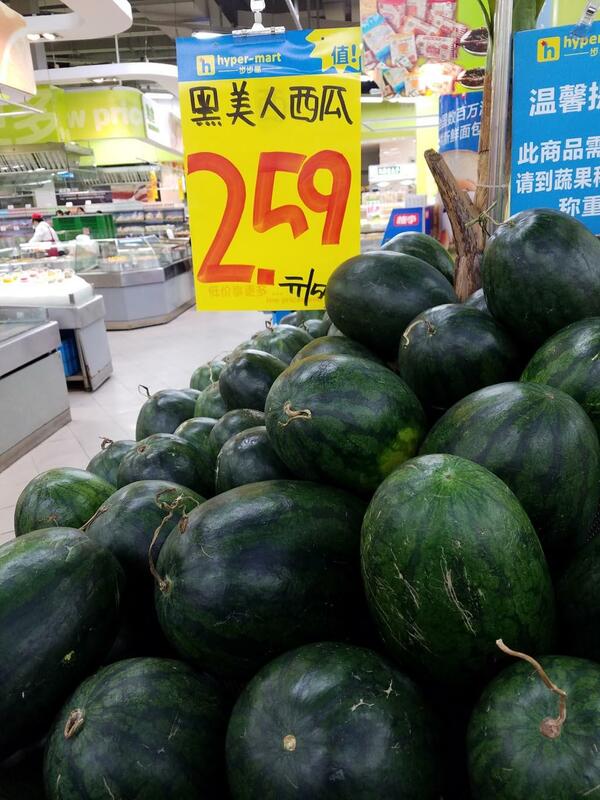 Hami melons are grown in Xingjiang in China's far west, They are the largest of the muskmelons - about 19 times the size of the muskmelon I posted earlier. 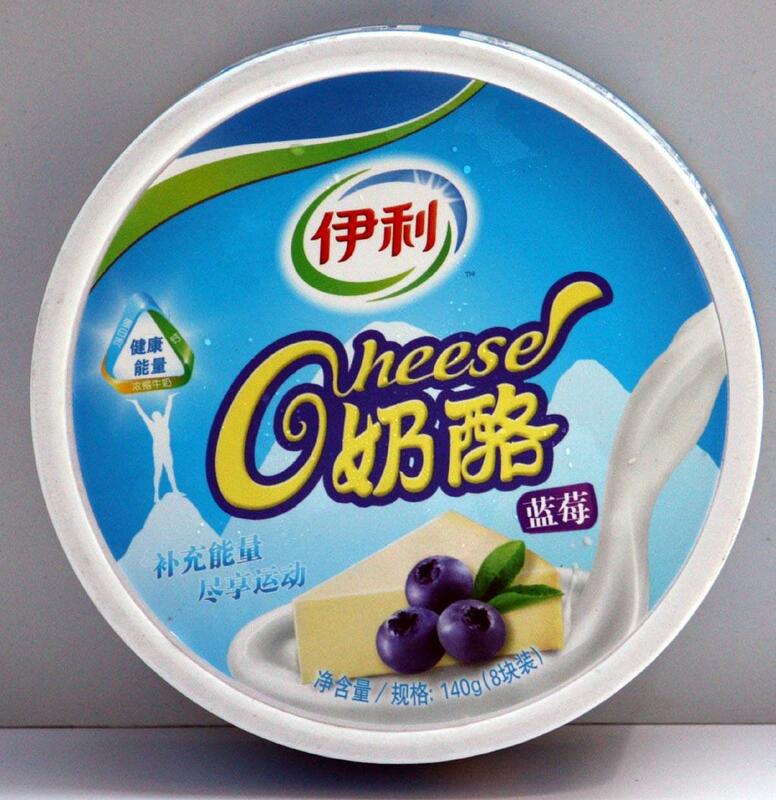 Most Chinese people love them and they can command high prices. These ones are very early - I suspect they have been hothouse reared. I'll be waiting until summer when Xinjiang turns into a natural hothouse, thanks. I am lucky. I never forget it. 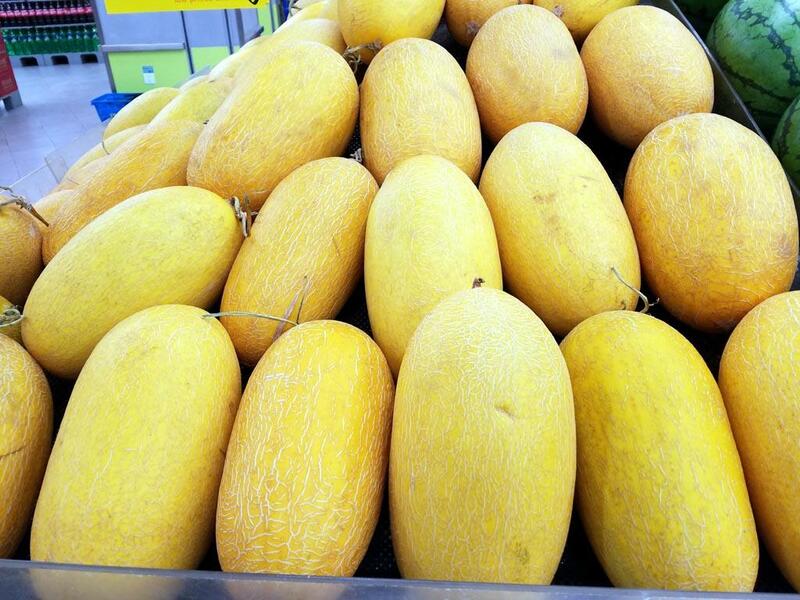 Fortunately, most supermarkets realise that poor old me living alone is never going to get through one of the larger melons or say, a jackfruit. 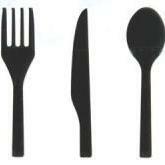 So they slice and wrap smaller offerings. For a price. Here's my fresh fruit salad from what's in the bowl or fridge, there was ice cream too. 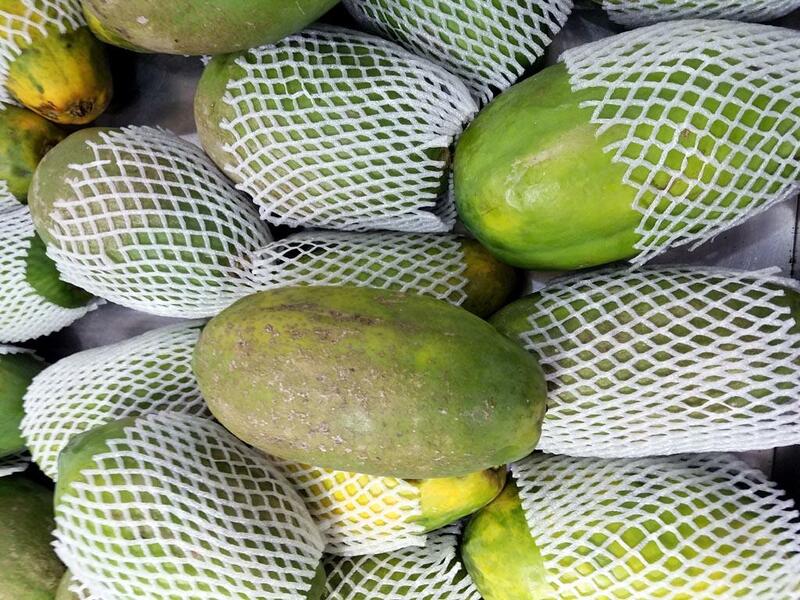 On Thursday at a nearby street food market I bought locally grown passionfruit and lady finger bananas. A bonus, the bananas were only 99 cents a kilo. The pineapple and strawberries were grown in this state (Queensland). I'm not sure about the grapes, they could be from interstate. It's autumn, fresh fig season is here, peaches and nectarines are plentiful but will be soon past their best. There's a farmers market tomorrow (Sunday). I'll take some photos. I am envious of those of you who live somewhere that fruit (other than storage apples) is in season. The local growers market this morning. I am very lucky to live in a fertile area with a subtropical climate. I have to ask about the prices though. Is it just a difference in our dollars? I bought limes and avocados this afternoon. The organic (which I assume translates to "spray free") avocados I purchased were 2 for $5.00. Par for the course. Occasionally they are 3 for $5.00. My limes were 4 for $1.99 -- however that is on the expensive side. 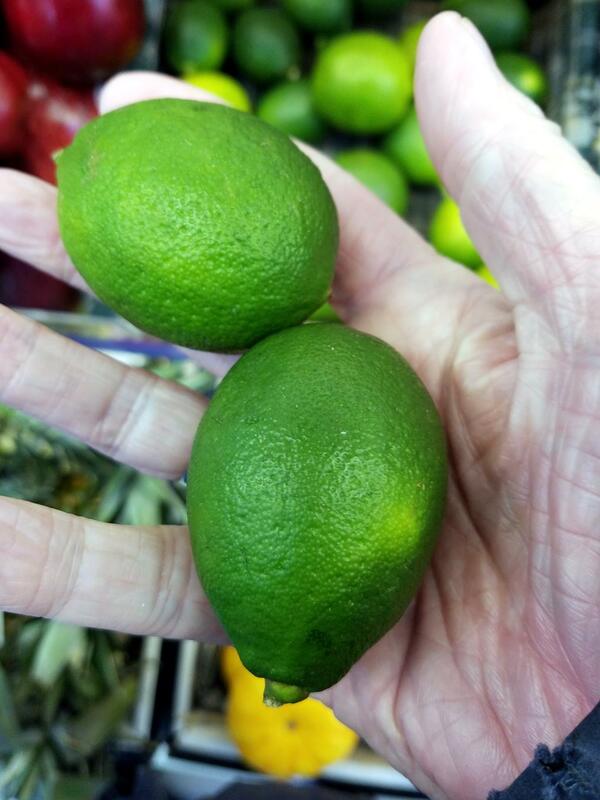 More typically limes here are 6 or 8 for $1.99. Often I will not buy at 4 for $1.99...but they say there is a blizzard coming. 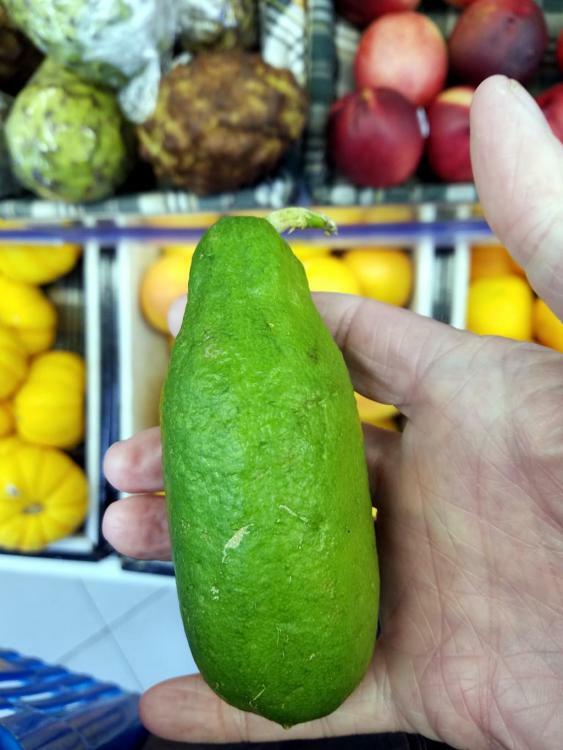 Last I looked amazon will deliver limes for 36 cents each. I'm hoping @Panaderia Canadiense will jump in here with pictures of her avocado prices. And in case you're wondering, my dinner tonight is avocados, brown tomatoes, mozzarella, baguette. Just as soon as I finish the mixed nuts course. I don't think the exchange rate has much to do with it. The prices varied from stall to stall, this one had no people standing in front of the produce ! Having said that, Australia can be expensive for food, perhaps due to high wages. The avocados might be Shepherd, the skin is smooth and stays green. 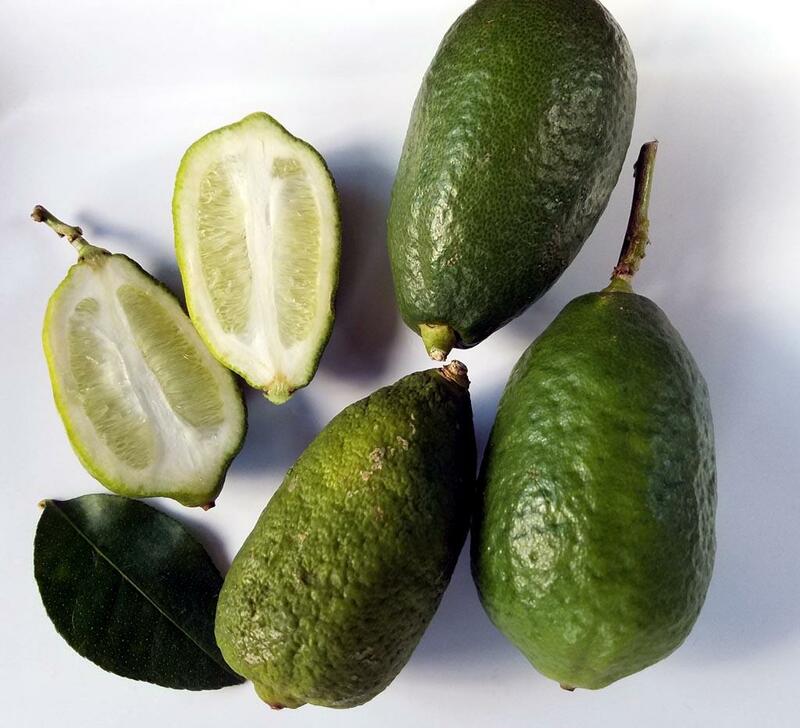 Limes are cheap at the moment, when not in season they can be $15 per kilo (that's when you buy one, or make do with lemons). Me too. 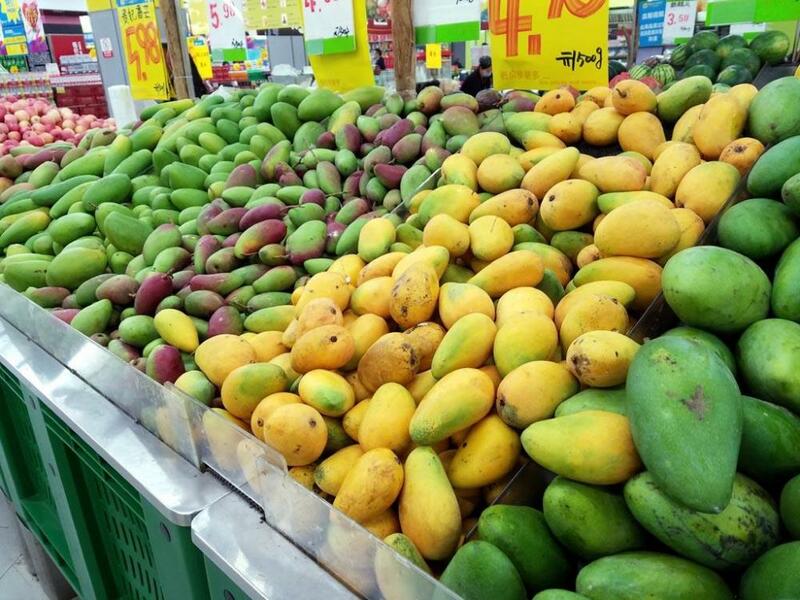 In fact your market looks a lot like mine, although the fruit selection is ever so slightly different. No limes or sapodilla for me.The major difference is that your place displays prices. Markets in China rarely do. In fact, I'm now struggling to remember if they ever do. Market shopping requires haggling over amounts so tiny that I wouldn't even trouble myself to bend down to retrieve it, should I drop that much cash. It's all just a game. Interesting that the bell peppers are on the fruit stall. That doesn't happen here. The only anomaly we get is that cherry tomatoes are always sold by the fruit people while other tomatoes are sold by the veg vendors. Thanks in large part to this thread, I was craving fresh fruit when I went to Sam's today. I still have a little fresh pineapple left, along with an uncut Sugar Baby watermelon, but I picked up a two-pound carton of strawberries and a quart of blueberries. Both had labels saying they were "products of the U.S., so I'm guessing Florida, the Rio Grande valley, or southern California. The strawberries (giant things!) are quartered and macerating in sugar and balsamic vinegar in the fridge; the blueberries, at least some of them, are destined for blueberry muffins one morning soon. 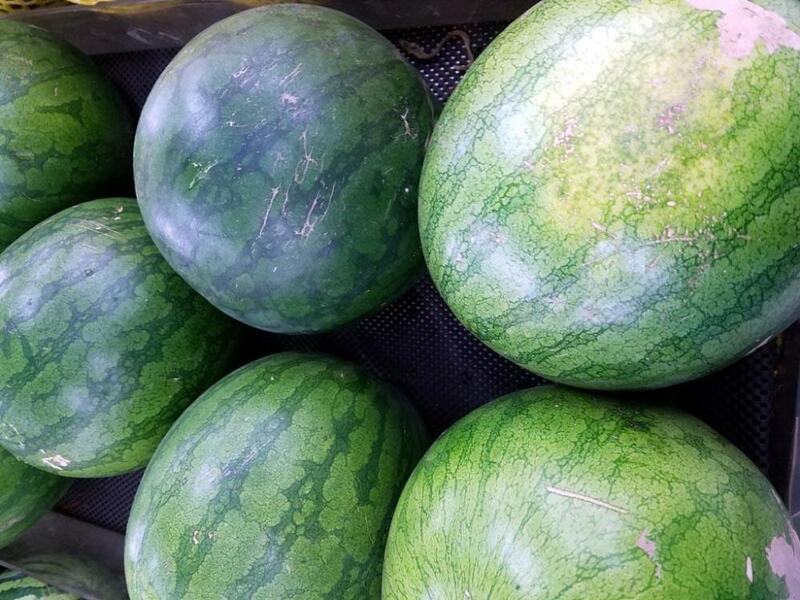 Grandson just requested watermelon, so I suppose I will have to cut it shortly; it won't last long when cut, I guarantee. Oh, and there's creme fraiche-to-be sitting out on the counter for the strawberries tomorrow. I passed on blackberries the size of my thumb from the knuckle out; what do they fertilize those things with? In other news, it's snowing like the dickens here, and the yard is completely covered. I was in shirtsleeves yesterday. Me too. 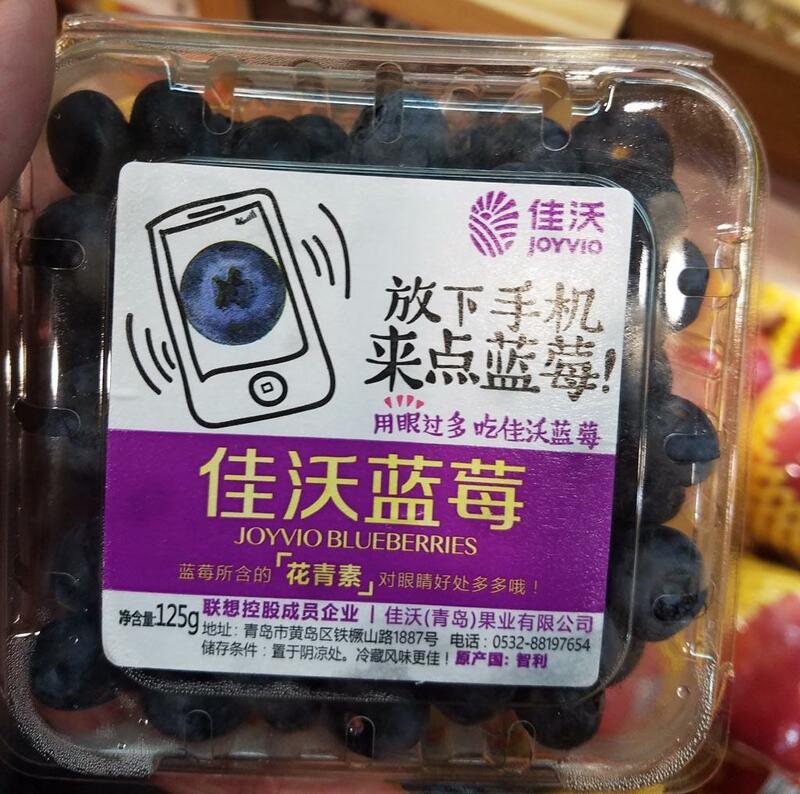 In fact your market looks a lot like mine, although the fruit selection is ever so slightly different. 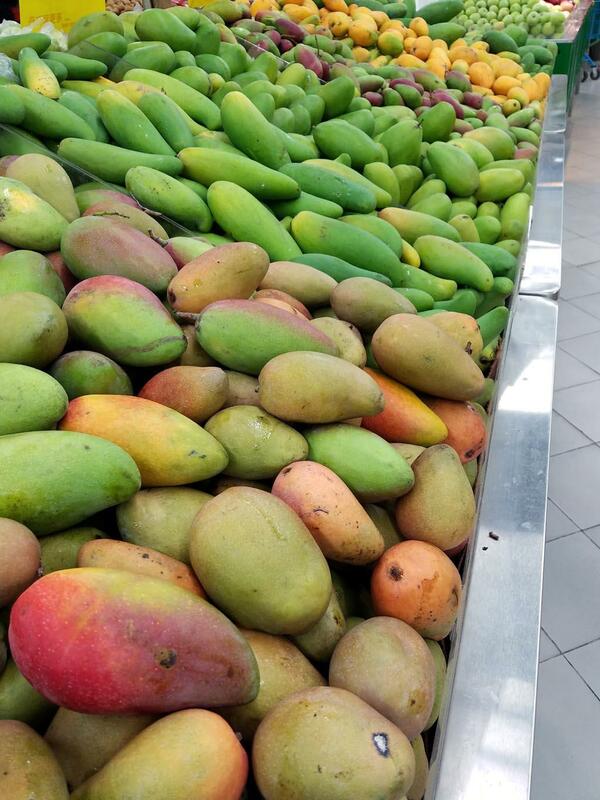 No limes or sapodilla for me.The major difference is that your place displays prices. Markets in China rarely do. In fact, I'm now struggling to remember if they ever do. Market shopping requires haggling over amounts so tiny that I would even trouble myself to bend down to retrieve it, should I drop that much cash. It's all just a game. Ah there's no fruit / veggie demarcation line here. All of the stalls have both. The haggling thing is not part of my MO. I am amused watching it though. Even here with clearly marked prices many people (often Asian) will try to bargain. Even here with clearly marked prices many people (often Asian) will try to bargain. yes, I've seen that in London, too. Even in supermarkets! That is how our farmers markets and produce stands work too. Each grower has their own rented stall, and they just sell whatever they have grown, be it fruit, vegetables, flowers, herbs and live plants. 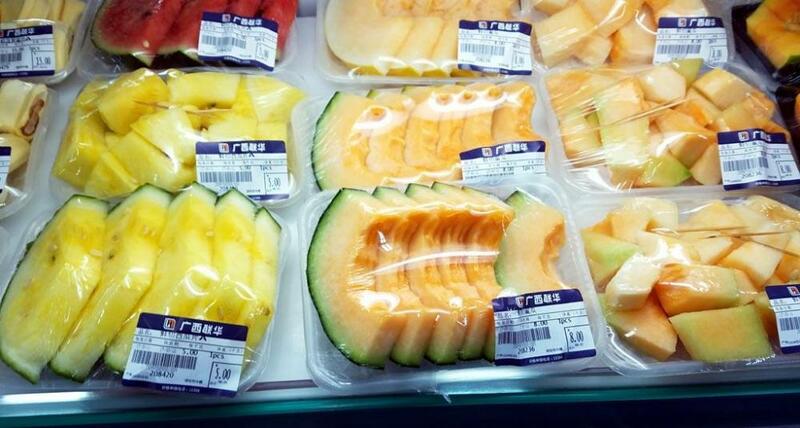 In the supermarkets fruit will be on a separate section from veggies. Interesting about the Asian bargaining. That would not work here at all, except maybe for used cars where it is expected. When people attempted to haggle, a former retail colleague of mine would lean forward (at 6' 3" and nearly 300 lbs, he could really loom over people), make a sweeping gesture to the walls, and ask rhetorically "Do you see chickens hanging here? You're in North America now..."
He was eventually fired tor that and similar failures of tact. Some retailers will bargain in a limited way, but I was never interested in playing the game and mostly worked for retailers who shared that perspective. I guess it's something of a life skill, but I lack the patience. I grew up in the soft fruit belt of Scotland where they grow what are simply, unarguably the best raspberries, so I'm hard to please. 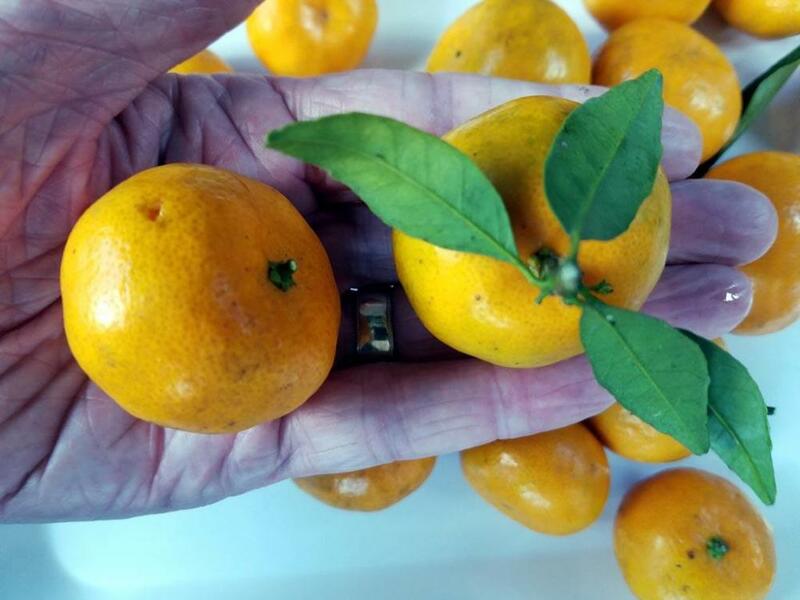 These specimens come from Yunnan province and are overripe and almost tasteless. 0/10. Note: raspberries are all but unknown here in China and I first saw these only last month. As I was taking the picture I could hear other shoppers asking each other what they were. In Chinese, they are 树莓 - shù méi which literally means "tree berries", I guess to differentiate them from strawberries. I hate blueberries. But the locals love them and stick them into everything. Horrible. I still haven't recovered from the time a Chinese friend informed me in all seriousness that she had found a shop selling "blue cheese". This was back in the days when any cheese was almost impossible to find. So, off we trotted to the shop in question where she proudly presented me with this. Then I hit the gua section. Or one of them. 瓜 - guā is one of those multi-purpose words of which Chinese has so many. 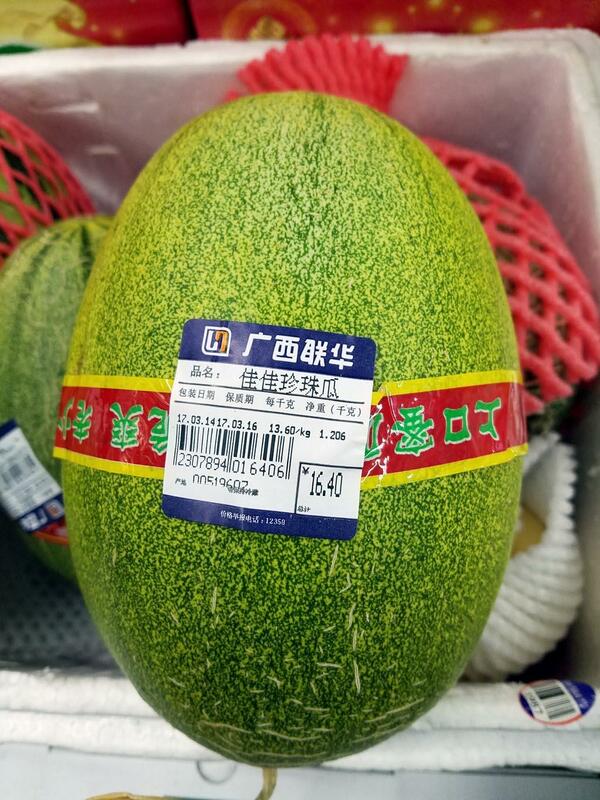 It means "melon" but also "gourd". It covers everything from water melons through pumpkins to cucumbers etc. 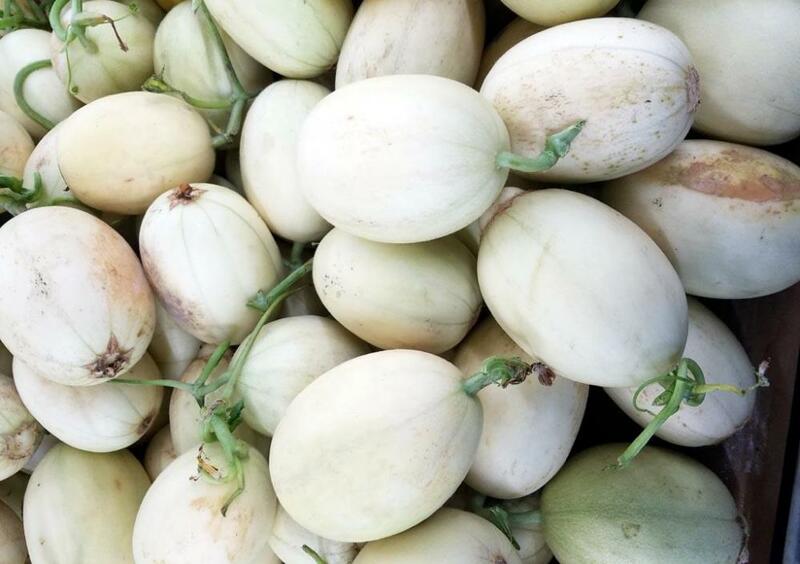 So for example, "bitter melon" isn't what we would normally call a melon, but a gourd treated as a vegetable. So, there are two gua sections: one for what we usually consider to be fruits and another for those we consider to be vegetables. 木瓜 mù guā - "Papaya"
珍珠瓜 jiā jiā zhēn zhū guā - "Pearl Melon"
麒麟瓜 qí lín guā - "Unicorn Melon" - a prized strain of water melon. 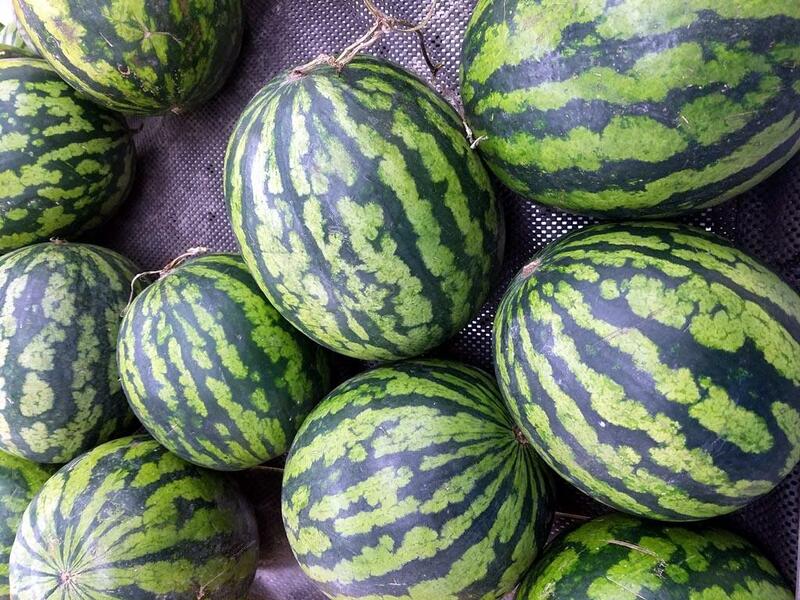 西瓜 xī guā - regular "watermelon"
Rather alarmingly, these are described as 黑美人西瓜 hēi měi rén xī guā or "Black American (person) Watermelon". Racial stereotyping? Probably. The Chinese aren't noted for their lack of racism. Note: raspberries are all but unknown here in China and I first saw these only last month. As I was taking the picture I could here other shoppers asking each other what they were. In Chinese, they are 树莓 - shù méi which literally means "tree berries", I guess to differentiate them from strawberries. 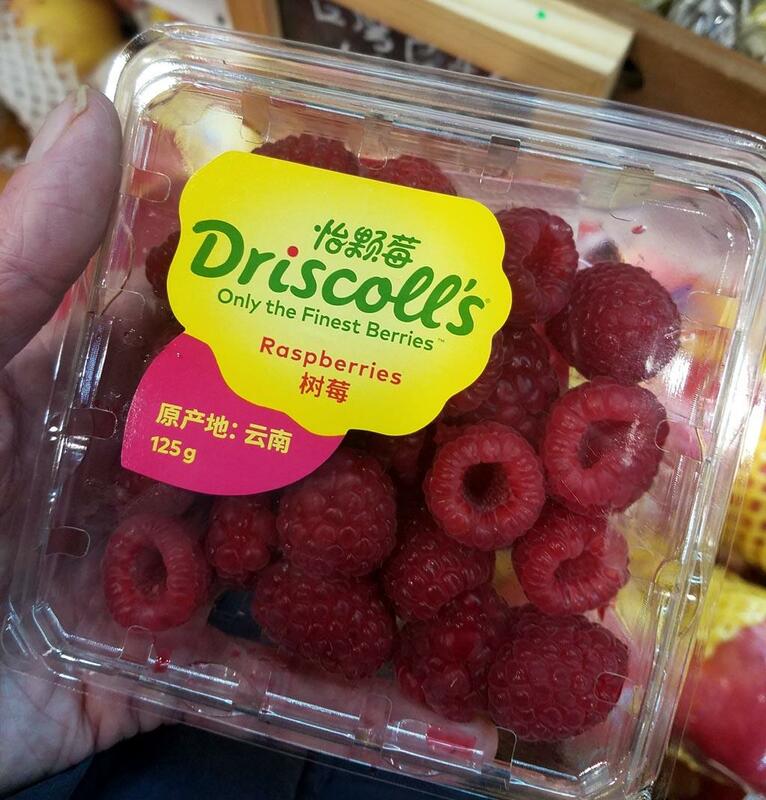 Your Driscoll raspberries are probably the same as our Driscoll raspberries,* and probably just as tasteless. Blueberries, on the other hand, are my favorite berries. I just hope the birds leave me some this summer. The ones in the market are usually like cardboard. *Edit: except ours are usually a little moldy by the time we get them home. except ours are usually a little moldy by the time we get them home. Yes. Same here. That's what I was trying to imply when I said overripe. Do you mean yours are also from China? I meant they are also branded Driscoll. Sounds like me, as I did this for years. Now I only buy local, in season strawberries. I got so spoiled, my MIL had close to 1/4 acre of strawberry plants. Living next door allowed me to pick when ever I wanted. The deal was whatever I picked, she would get half. She and I didn't really care for each other very much. When she rototilled up all the plants, I suspected she did it out of spite. Didn't matter much at all because many of our Amish farm wives have huge berry patches and they do all the bend over grunt work.